Jean-Marie Straub (b. 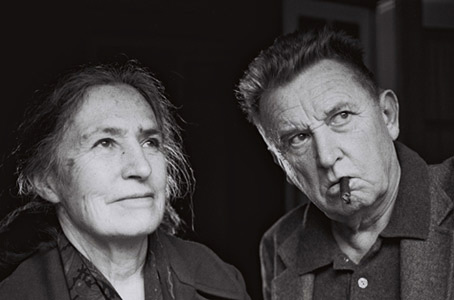 8th January, 1933) and Danièle Huillet (1st May, 1936 – 9th October, 2006) were a married filmmaking team who worked almost exclusively outside their homeland of France, most notably in Germany. Their films, often adapted from theatrical or literary works, are distinguished by their deliberate use of Brechtian distancing techniques and strong Marxist political overtones. Aesthetically their work has been described as austere with minimal camera movements, long takes, simple, stark settings and restrained acting performances.